Myopia or shortsightedness causes blurred distance vision. It usually begins in childhood and often occurs in children who has a myopic parent although sometimes there is no family history. 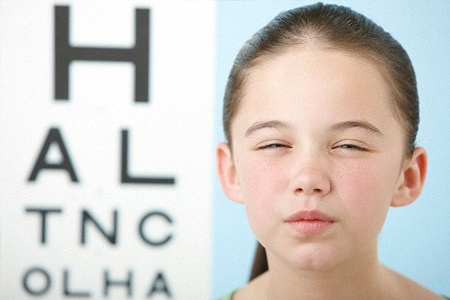 Myopia is increasing worldwide and is a worrying public health issue as short-sight is connected with a number of more serious eye problems such as retinal detachment glaucoma and cataracts. With every increase in myopia the risk of developing these conditions increases. We are pleased at McCrystal Opticians to have become a myopia control centre in the fitting of specialist contact lenses. Scientific evidence shows that this approach gives the best results in slowing progression of myopia. The lenses are soft and comfortable to wear and children adapt very quickly to them-often much quicker than adults! These lenses cost only a few pounds more than conventional soft lenses which will not slow myopic progression!